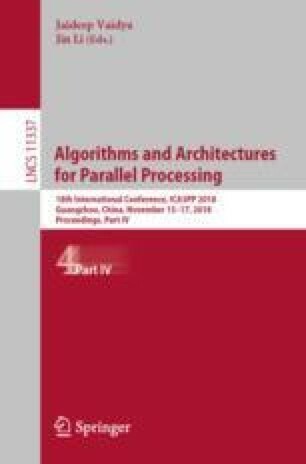 Cold Start (CS) and sparse evaluation problems dramatically degrade recommendation performance in large-scale recommendation systems such as Taobao and eBay. We name this degradation as the sparse trust problem, which will cause the decrease of the recommendation accuracy rate. To address this problem we propose a novel sparse trust mining method, which is based on the Roundtable Gossip Algorithm (RGA). First, we define the relevant representation of sparse trust, which provides a research idea to solve the problem of sparse evidence in the large-scale recommendation system. Based on which the RGA is proposed for mining latent sparse trust relationships between entities in large-scale recommendation systems. Second, we propose an efficient and simple anti-sparsification method, which overcomes the disadvantages of random trust relationship propagation and Grade Inflation caused by different users have different standard for item rating. Finally, the experimental results show that our method can effectively mine new trust relationships and mitigate the sparse trust problem. This work has been partially sponsored by the National Science Foundation of China (No. 61572355, U1736115), the Tianjin Research Program of Application Foundation and Advanced Technology (No. 15JCYBJC15700), and the Fundamental Research of Xinjiang Corps (No. 2016AC015).